The Intel (NASDAQ: INTC) keynote during Computex 2015 had a strong focus on IoT, but there were also a number of interesting announcements that weren’t as prominently featured. The biggest takeaway from the keynote was Intel’s announcement that it was pivoting Thunderbolt to be compatible with USB-C.
Intel is framing the narrative as bringing USB-C to Thunderbolt. Not the death of Thunderbolt. Ever since it was announced last year, USB-C has captured the interest of vendors and the public. After Intel announced Thunderbolt 3, many were wondering how it could compete with the cheaper, more popular USB-C protocol. 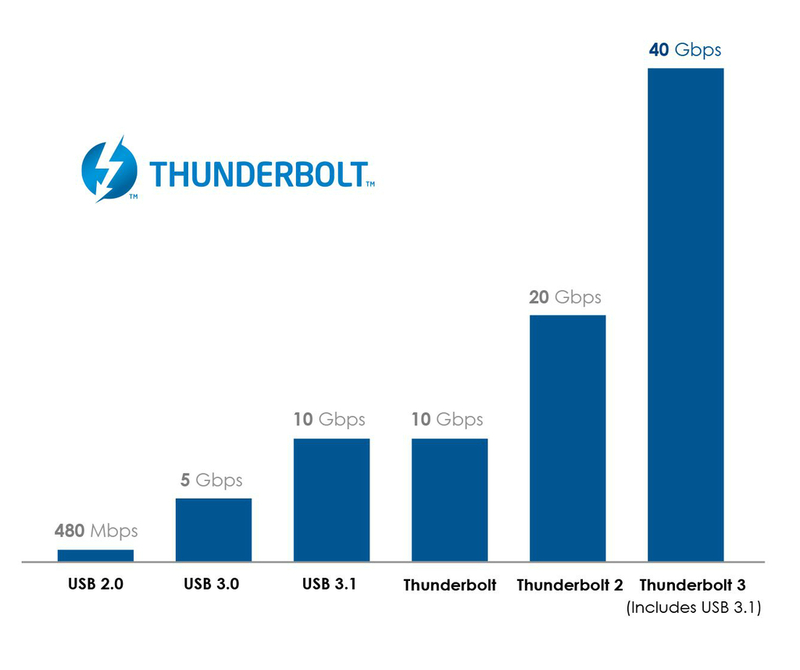 Granted as Thunderbolt is still faster, there will still be a niche demand for the connectivity standard. 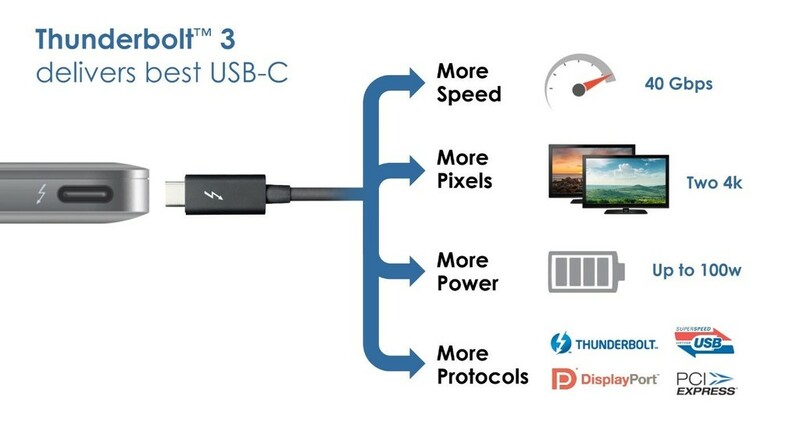 The Thunderbolt 3/USB-C cables will still be able to achieve a much higher throughput, ramping up to 40Gbps when required (the only differentiating mark being the Thunderbolt logo on the top). However, USB-C only cables will not be able to achieve the same throughput. It is not yet known whether other cables will be provided in the box, but the connection does not prohibit example- -by connecting the phone with a USB wire that would be “classic” on one side and USB C on other. However, this jack allows the manufacturer to offer finer and easier way to connect phones, thanks to the absence of keying on the card and the ability to connect the two sides.